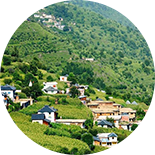 Himachal Pradesh is a northern Indian state situated in the lap of Western Himalayas. 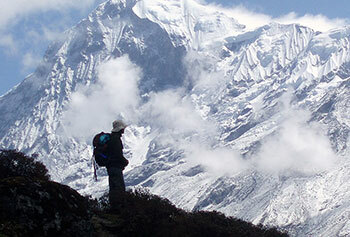 The state is revered for its picturesque hill stations and ancient temples. 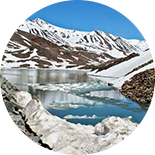 The word Himachal was coined from two Sanskrit words Him, meaning snow and Anchal, which means land. 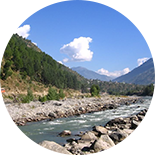 Several prominent rivers including Jhelum, Sutlej, Beas, Chenab, Parvati, and Yamuna flow through the state. These rivers apart from making the soil fertile support a variety of flora and fauna that has been a major tourist draw. 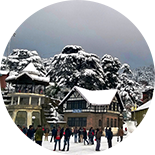 Shimla, the capital of Himachal Pradesh experiences snowfall from mid-December to January. During this period the city gets covered in a blanket of snow and its beauty rivals that of famed international destinations. Himachal Pradesh is known for its apples the world over. The state has various apple orchards that produce tons of export quality apples every year. 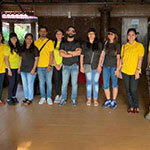 Adventure activities conducted by local operators in the state are a major draw. 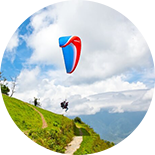 Paragliding, trekking, hiking, biking or just taking a walk to relish the visual treats by nature, you can do it all here. 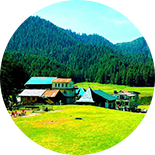 Himachal Pradesh is home to various lively towns, quaint hemlocks and picturesque hill stations whose unparalleled beauty and charm has mesmerized generations of travelers, many of whom keep coming back to rekindle their love affair with the mountains. The state capital is Shimla, which is also a commercial hub of this state. Flooded with tourists, all round the year, it is the center point. 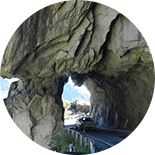 Other places like Kulu, Manali, Solan, Dalhousie, Mandi, Dharamshala, Lahol-Spiti, Kinnaur, Kullu, Kufri and Khajjiar are of prime importance along with nummerous remote places perched in the lap of nature. Spectatcular mountain peaks, lush green valleys, picture perfect senes, quaint villages perched on hill tops, over lapping mountain ranges and rushing rivers make tourism in Himachal Pradesh one of its kind. From adventure enthusiasts to relaxed ature lovers, this is a plae for all. From the hussling life of Shimla to the wanderlust Spiti, it’s varient, it is differnt across every mountain you cross. When Kullu & Manali, a very famous tourist destination, are known for their for lush green mountains, snow-capped peaks, and adventure activities; Bir Billing is preferred for its monasteries and paragliding. 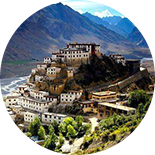 The Spiti Valley for its monasteries and rustic beauty and Kasol for its hiking and trekking trails. 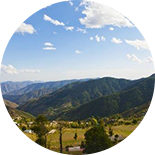 Khajjar, Dalhousie and many others are ideal for doing absolutely nothing but relaxing in the lap of nature. This state beholds rich history & heritage of the bygone era. The some forts & heritage monuments here have Rajasthan and Mughal architectural influences, while some have very contrasting Chinese, Indian and European architecture. The rule of Britons has embarked their presence as well. 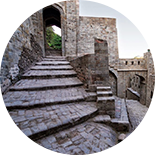 The well-known Arki Fort is located 38 kms from Shimla. The fort was built between 1800 and 1805 by Rana Prithvi Singh. It is a fusion of Rajput and Mughal architectural styles. While Jubbal Palace was designed by a French architect in 1930. The Palace’s design is a unique blend of Chinese, Indian and European architecture. Colored in cream hue, the Palace has sloping roofs and chimneys that add to its charm. The Kuthar Fort, located at a distance of 52 kms from Shimla, was built by Gurkhas approximately 800 years ago. The Fort is spread over an area of around 53 sq. kms and houses various temples, fresh water springs, colorful gardens and panoramic view of the snow-capped mountains owing it the fort’s location. Thanks to the diverse topography and numerous rivers of this land, there is no dearth of adventure activities in Himachal Pradesh. 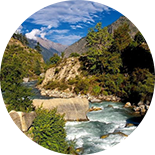 Numerous rivers flow through Himachal Pradesh, making it a prime location for river rafting. Some of the best rivers for river rafting in the state are: Spiti, Sutlej, Ravi, Chamba, and Chandra. You can also enjoy a range of still water sports at Gobind Sagar Lake, Chamera Lake, and Pandoh Lake. Mountain cycling to Kangra, Una, and Hamirpur are looked forward by cyclists. 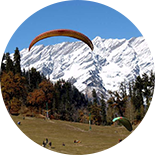 Popular for paragliding, Bir Billing, Solang Valley and Bundla, are must visit for the lovers of this adventure sports and if you love challenging yourself, Himachal has got plenty in store for you. Dhauladhar and Pir Panjal ranges and Spiti Valley have numerous trekking circuits that have been challenging generations of trekkers. Skiing is another world-famous activity here. So, get your skiing gears ready and head to Solang Valley, Kufri, or Narkanda. Furthermore, if camping in the wilderness is your idea of a perfect holiday, waste no time in reaching camping hotspots such as Dalhousie, Solan, Chail, or Kulu-Manali. Himachal Pradesh is blessed with multifarious Flora & Fauna and alomst 68% area is under forest land. 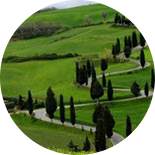 A home to a variety of flora such as Sal, shisham, chir pine, oak, deodar, and rhododendrons, the place is a green-heaven. Flowers such as marigolds, roses, chrysanthemums, tulips, and lilies bloom after winter covering the state in a colorful blanket whose mesmerizing beauty has been the inspiration of various literary and art works. The forests in the state are abode to various species of animals such as the snow leopard, ghoral, musk deer, and monal. Himachal is called the “Land of Gods” owing to its serene beauty at the foothills of the Himalayas.This makes it an abode for various religious places that showcase the local cultural heritage. Some of the most popular pilgrim destinations here are (a) Naina Devi Temple - One of the most significant religious places for Hindus. Legend has it that Goddess Sati immolated herself to avenge his husband, Lord Shiva’s insult. This infuriated Lord Shiva, who then picked up Sati and started doing the Tandava. To save the world from imminent destruction, Lord Vishnu cut Sati’s body into 51 pieces, with every piece falling at different sites. It is believed that Her eyes fell at what now is the Naina Devi Temple. (b) Bijli Mahadev Temple - Bijli Mahadev is an ancient Hindu temple dedicated to Lord Shiva. Located in Kulu district, the temple has a 60 feet staff that attracts lightning, which descends to earth to destroy the Shivling prepared on special occasions. (c) Jawalamukhi Temple - Is located in the Kangra District and is believed to be the place where Goddess Sati’s tongue fell. Inside the temple, there are nine sacred flames (Jwalas) that burn throughout the year. 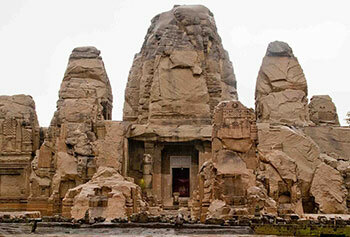 (d) Baijnath Temple - Dedicated to Lord Shiva, Baijnath Temple is located 36 kms from Kangra. The ancient temple was built in the 13th century. It is believed that Ravana, the demon king once worshiped Lord Shiva here. Locals believe that Lord Shiva existed here even before the temple was built. Ardent believe in God & Goddesses paves path to the celebrations. 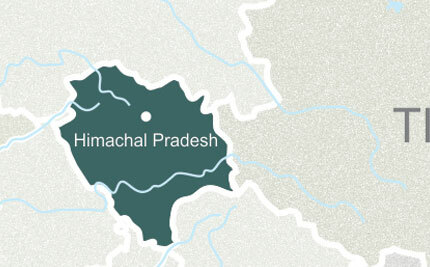 Himachal Pradesh has a vibrant and colorful cultural heritage that locals showcase through various festivals and fairs. Some major festivals of the state are Halda festival, Sazo, Lohri, Losar festival, Teej, Nalwari Fair, Phulaich festival, Kullu Dussehra and Mahashivratri. Apart from these other cultural, literary and music & dance festivals are organized. Travelers interested to explore the culture and heritage of this place should plan tours accordingly. People of Himachal Pradesh are multilingual and can speak various languages such as Pahari, Kinnauri, Kangri, Kinnauri, Dogri, Mandeali, and Chambeali. Celebrations are incomplete without food. The local cuisine is heavily influenced by Punjabi and Tibetan style of preparing food. Locals in their daily life savor north Indian dishes such as dal chawal and roti sabzi. It is a tradition in Himachal to welcome guests by serving them Sidu, a local delicacy cooked from wheat and savored with clarified butter. If opting for a homestay, you can also try patande, a counterpart of pancakes relished in western countries. Locals love relishing traditional meat preparations cooked with cardamom, cinnamon, cloves, red chillies and coriander leaves. Himachal Pradesh is heaven for avid shoppers. Every city in the state has something unique to offer to shopaholics. Kulu, for instance, is a shopping hotspot for buyers who love buying local winter clothes such as Kulu caps, Kulu shawls, and mufflers. Several shops sell designer carpets, while those in the food business sell local pickles and jams. In Manali, you can find several shops selling antiques, Tibetan handicrafts, and inlaid silver jewelry, whereas your quest for inner peace will take you to Mcleod Ganj where you can buy metal prayer wheels and prayer Thangkas. 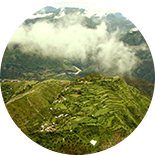 Himachal Pradesh’s climate is as varied as its culture. The different regions of the state experience one of the four climates depending on their altitude. The regions located at an altitude of 450-900 meters experience hot and sub-humid tropical, while those located at 900-1800 meters have a warm and temperate climate. The temperature drops with an increase in elevation and the areas located at an altitude of 1900-2400 and 2400-4800 meters experience cool and temperate and cold glacial climate respectively. The state receives heavy rainfall in July and August, while snowfall occurs between December and March. 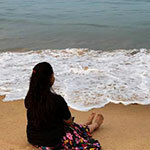 We - Max Holidays, are experts in this domain and have catered numerous in-bound & out-bound tourists, with their choice-able tour packages and custom planned holidays. We look forward to serve you with the best of our services.